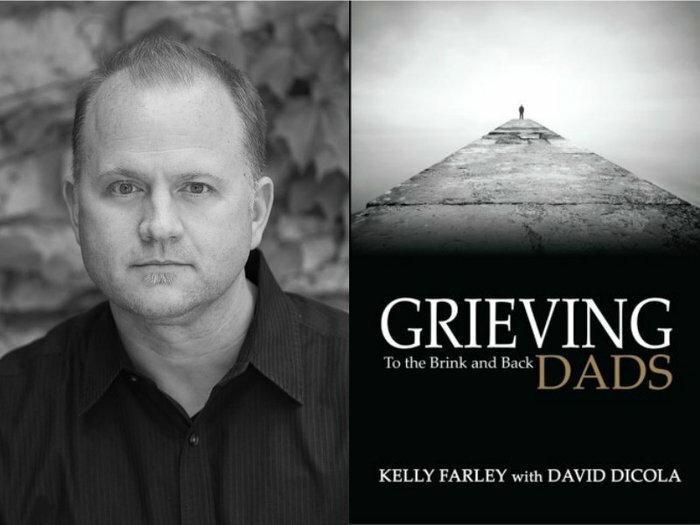 When Kelly Farley first penned Grieving Dads: To the Brink and Back, he contacted various publishers, but no one saw its true value. He decided to publish the book himself and it’s fair to say that he proved those publishers wrong. Now men from all around the world get in touch with Kelly to thank him for the book and the hope it gave them. Perhaps it’s understandable why publishers didn’t see a market for a book about men grieving. Even though society has taken steps forward in recent years, there’s still immense pressure for men to tough it out and stay strong. Crying, talking about feelings and admitting you’re struggling are still taboo for many men, as Kelly well knows. Born in what he calls a “blue collar” part of Iowa, he doesn’t remember ever seeing his father or any other male role model cry. He grew up thinking that it was a man’s job to be tough, even when life got difficult. “I tried to push through it. I did everything I thought you were supposed to do as a guy – toughen up and get through it – but that didn’t work out too well for me. In 2003, Kelly and his wife, Christine, decided it was time to have a baby. After undergoing fertility treatment, they conceived a daughter called Katie. Tragically, Katie passed away before she was born, in the fall of 2004. About a year after Kelly and Christine lost Katie, they decided to try for another baby. This time they conceived a boy, who they decided to call Noah. In the summer of 2006, Noah was born prematurely and passed away. Kelly found that he could no longer hide from his grief. “I called into work and said, ‘I don’t know when I’m going to come back and quite frankly, I don’t care.’ I just knew I couldn’t go on like that. “I was having panic attacks, which scared me because I didn’t know what was going on. My brain wouldn’t shut down, I was worried about everything. 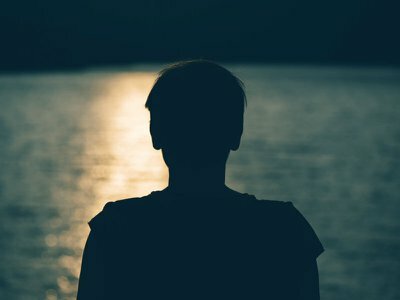 Devastated by the loss of his son and suddenly confronted with his grief for Katie that he had been suppressing for so long, Kelly decided to try counseling, despite deep reservations. “I thought only crazy people go to counselors,” he says. “I was embarrassed to even walk into the place. I was sitting in the lobby, hoping that I wouldn’t see anybody I knew. Around that time, he was diagnosed with depression and Post-Traumatic Stress Disorder (PTSD) and began looking for resources for grieving fathers. Kelly’s idea for a resource for men grieving after the death of a child was put on hold while he focused on surviving through his own pain – until a conversation with a homeless man in late 2009 made him realize the importance of supporting men in their grief. “I’d hired him to do some work for me – I didn’t realize he was homeless at the time, you wouldn’t have known from talking to him,” he says. “After he’d finished the work, he asked for a ride to the bus station. On the way there I discovered that he lived in a local homeless shelter. 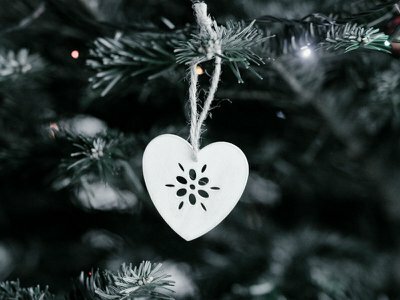 “I said, ‘Oh, I’ll actually be over there next month, volunteering with a group of guys I met through a support group.’ I explained that I had lost two children. In late 2009, Kelly started blog called Grieving Dads, where men could read about his experiences and share their own. In 2012, he published Grieving Dads: To the Brink and Back with the help of David Dicola, sharing the heart-wrenching stories of dads he’d spoken to and supported. In Kelly’s own words, the book is “not your typical grief book”. It doesn’t pull any punches and isn’t afraid to explore the most traumatic losses. It opens with a chapter on PTSD, describing how one father found his 15-year-old son shortly after he had taken his life. Speaking about his experience with PTSD and the workshops he runs for grieving fathers coping with the trauma of bereavement, Kelly explains that there are so many misconceptions about mental health. “PTSD is always associated with soldiers, but it’s not just reserved for guys who go off to war. I actually interviewed a grieving dad who was U.S. marine. He had been a sniper on three tours, one in Afghanistan and two in Iraq. He saw some bad stuff. He said that when his two-week-old daughter died in his arms, that was more traumatic than anything he had experienced in Afghanistan or Iraq. That didn’t even come close. Kelly coaches men via phone, email, Skype and face-to-face to support them through their pain. Men from all around the world have reached out to him in times of need. Kelly has so many stories about dads who have reached out to him. 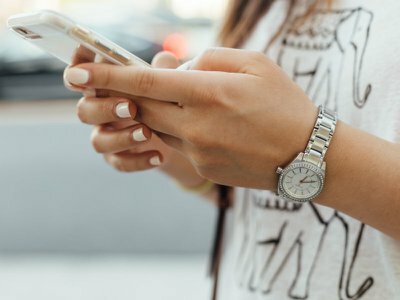 In 2011 he received a call from a Canadian oil executive, thanking him for the website and the support he had found through the Grieving Dads project. About a year later, he received a call from the same number. Three months ago, almost five years after that night, Kelly received one more call from that number. “Things like that just make me smile. I’m still amazed at how far reaching this book has been. I knew it was needed, I just didn’t know how far it would go. “It’s something that I enjoy doing to honor Katie and Noah. I’m fighting for them – that’s what it feels like – and for guys who need to tell their stories. Visit the Grieving Dads website to learn more about Kelly’s work and read the stories shared by other fathers coping with grief. You can also buy the book in paperback or eBook.